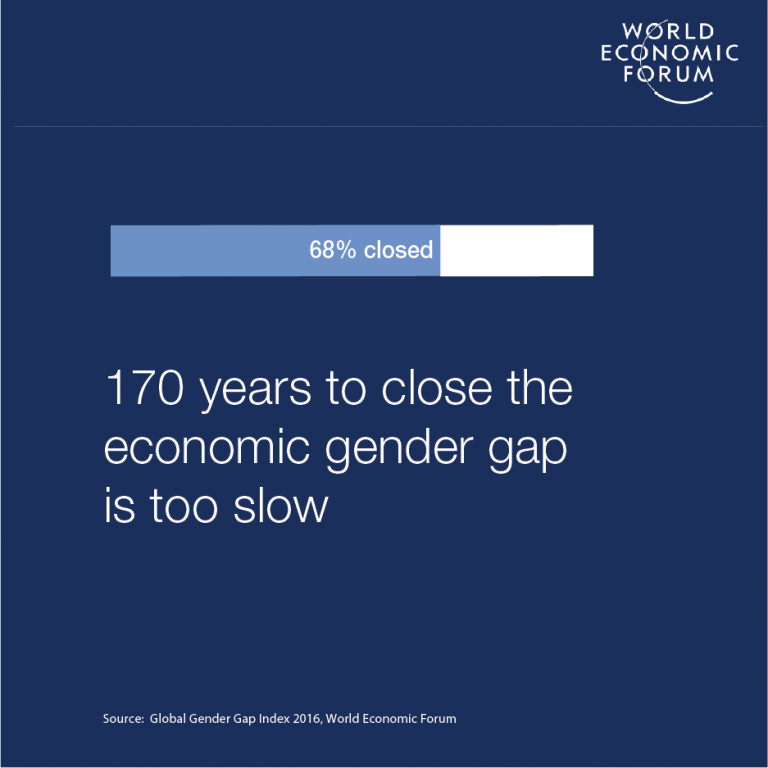 The World Economic Forum estimates gender parity globally may now be over 170 years away. Previously they estimated an 80-year time, then it was 120 years. It keeps slowing down. The Forum's Annual Gender Gap Report shows slow progress and minimal change in many countries worldwide. What is causing this glacial pace of change, something the airline industry calls a “creeping delay”? There are many headwinds that can lengthen the time required for desired systemic change, but there is one I’d like to address here, head on, and it’s this: unconscious bias. In general, there is a lack of awareness about who others are and what their capabilities and inherent qualities may be. In corporations, this often manifests as a culture that is unfriendly or unhelpful to women. What is unconscious bias? It can include anything from the preferences and perspectives we hold to the associations, roles and behaviours we carry out. A large part of it may be down to unconscious grievance and loss. A “manifesto” written by a male Google employee this summer is a case in point. He posited that there are inherent psychological differences between men and women which lead to a disparity in how successful they are in the world of tech. It’s clear that this man, and many like him, see diversity as eroding meritocracy and destroying the level playing field. It is not my place to question whether Google was correct in firing him; he had his point to make. But I will say that whether he knows it or not, he is unconsciously finding selective arguments to resist change. He has something to lose. The Google manifesto reflected this employee's belief that everyone lives in the same world as he does. But his is not a universal experience. He is unlikely to have been subject to systematic interruptions and the repeated questioning of his credentials or capabilities. He probably wasn’t assumed to be incompetent until he proved otherwise, or excluded from informal mentoring or “bro” bonding. It’s doubtful his comments were seen as aggressive rather than assertive, and that he was seldom acknowledged or taken seriously. It’s true the young engineer may have had some of this happen to him; but statistically, as a white male, he would not have experienced it at the same level or intensity as his female colleagues, nor felt its cumulative impact. He is unaware of the subtle advantages and perceived abilities “naturally” attributed to him. He may not truly grasp that for many women, their lack of success can be explained in part by the less-than-level playing field they work in. If it is made truly level, he will lose that subtle advantage he doesn’t even see. The presence of capable women threatens the norms he has become used to. I believe there is a need to look closely at the loss and grievance that the dominant group feels when those from the non-dominant groups start to encroach on their societal position. In her book Why So Slow, Virginia Valerian found that while men can embrace the need for efforts that lead to fairness, such as equal pay, they have a much harder time with their own loss of centrality. This is about entitlement and holding a privileged place in the home, at work and in society. The loss of that privilege is a severe grievance. For example, it is accurate to state that manufacturing jobs are diminishing and care jobs are in demand. It is quite another to have men accept new gender roles that they find emasculating. One survey focused in Middle Eastern and North African countries found that men harass women in public “to put them in their place”. Much of the objection to change in gender roles is really about gender and power, not just about gender. Joan C. Williams reflects on changing gender roles in her book White Working Class: Overcoming Class Cluelessness in America. She talks about “good” men and “real” men. The former are supportive, empathetic, collaborative. The latter are men who work in clearly identified masculine jobs, are assertive, take leadership at home and at work. If we ask men to change their definitions of themselves it is not surprising that many will resist and find reasons to be critical of those they perceive as forcing this change upon them. Geena Davis, at her eponymous media institute, has found that when a room's population is 20% women, men see 50%. When it is 30%, men feel it as 60%. The American Council on Education did a study asking teachers to call on boys and girls as best they could 50/50. After the experiment, the boys were asked how it felt. Their common response was: “The girls were getting all the attention.” The boys (and men) feel a loss when equality is achieved. They have normalised overbalance. As digital technology brings about massive global change, the World Economic Forum, which calls this shift the Fourth Industrial Revolution, is working to ready society for the upcoming disruptions. But for some, moving from a gendered position will feel like a loss, even though the shift may ironically reflect a more equal society.